Psalm 78 [30.] They didn’t turn from their cravings. and didn’t believe in his wondrous works. When he killed them, then they inquired after him. They returned and sought God earnestly. 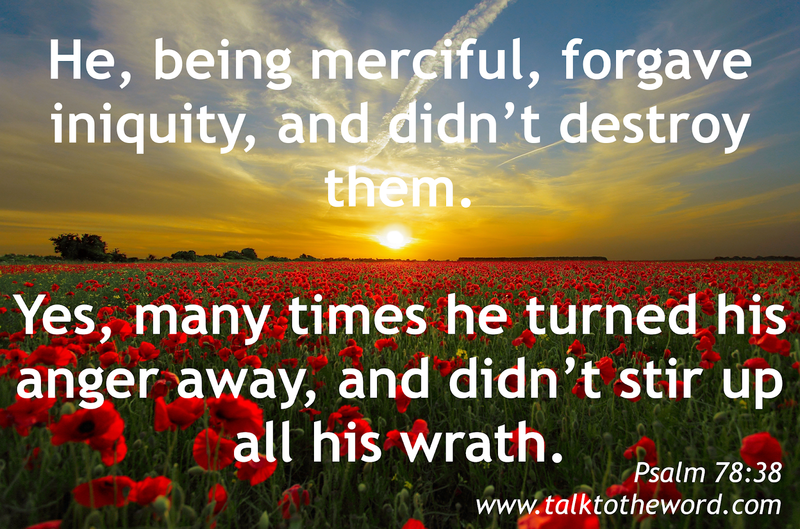 But he, being merciful, forgave iniquity, and didn’t destroy them. and didn’t stir up all his wrath. a wind that passes away, and doesn’t come again.